A well presented and deceptively spacious ground floor apartment exclusively designed for those aged over 55 years, forming part of a modern development in the heart of the village close to the church. CLIFFORD Clifford is an attractive West Yorkshire village with its own Churches, public houses and bus services as well as being within easy commuting distance to Wetherby, Leeds, York and Harrogate. The A1 is within 1 1/2 miles giving immediate access to the A64, M62 and A1/M1 link road.There are further excellent facilities in the market town of Wetherby and the village of Boston Spa. 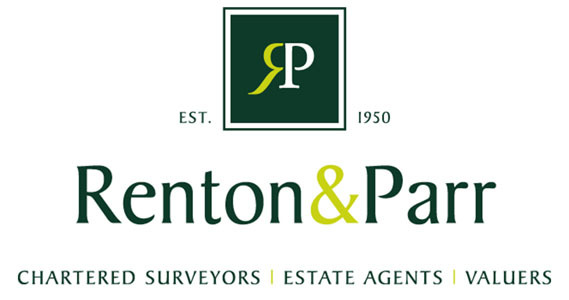 DIRECTIONS On entering Boston Spa from the A1 take the first right turn into Clifford Moor Road and continue to the T junction with Clifford High Street, turn left and the apartment will be seen further along on the left hand side identified by a Renton & Parr for sale board. THE PROPERTY A deceptively spacious self-contained ground floor retirement apartment enjoying a pleasant outlook over lawned gardens to rear and the village High Street to the front. SPACIOUS COMMUNAL ENTRANCE HALL With doors to front and rear garden and staircase to first floor apartments. ENTRANCE HALL With ceiling cornice, single radiator, intercom system. LOUNGE 17' 6" x 10' 10" (5.33m x 3.3m) With double glazed UPVC window to front, radiator beneath, ceiling cornice, telephone point, T.V. aerial, fireplace with Adam style surround, marble effect inset and hearth, "living flame" coal effect gas fire. KITCHEN 10' 10" x 8' 11" (3.3m x 2.72m) Fitted with a range of wall and base units, cupboards and drawers, integrated appliances include fridge freezer, double Philips oven, four ring gas hob with extractor hood above, automatic washing machine, inset one and a quarter bowl sink unit with mixer tap, tiled splashback and part tiled walls, laminate work surfaces, single radiator, extractor fan. 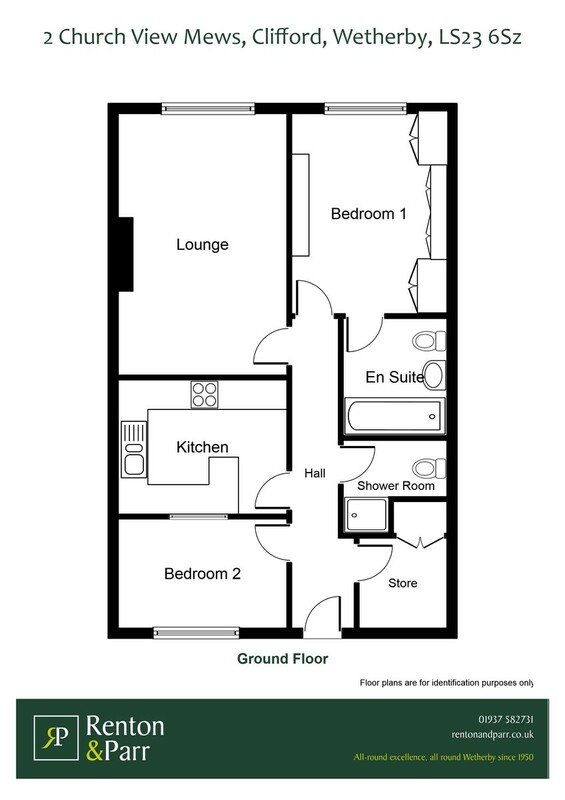 EN-SUITE BATHROOM 7' 9" x 6' 10" (2.36m x 2.08m) Coloured suite comprising low flush w.c., vanity wash basin, panelled bath with shower above, part tiled walls, single radiator, extractor fan. BEDROOM TWO / DINING ROOM 10' 9" x 7' 3" (3.28m x 2.21m) Double glazed window to rear aspect, radiator beneath, ceiling cornice, wall mounted Worcester Bosch combi-boiler. BOXROOM 8' 10" x 5' 7" (2.69m x 1.7m) A useful space for storage along with deep storage cupboard and shelving above. SHOWER ROOM 6' 10" x 6' (2.08m x 1.83m) max Low flush w.c., wash basin with tiled splashback, shower cubicle, single radiator, extractor fan. TO THE OUTSIDE Well maintained communal gardens together with resident and visitor parking. TENURE The property is leasehold. There is a current service charge of £120 per month for maintenance, insurance, gardening, window cleaning.